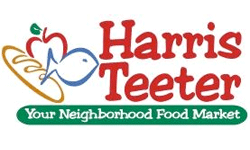 Here are all the deals and coupons for Harris Teeter starting on 4/10. There are a long list of deals and several acorn items to look for. If you spot more deals in the store, leave a note below! Organic Green Onions, Bunch, at 79¢ ea. Small Navel Oranges, 10¢ ea. Grape Tomatoes, Pint, $3 ea. Earth Bound Farms Organic Baby Carrots, 16 oz, $1.79 ea.